Recently it was announced that in MySQL 8.0, query caching would no longer be supported. This was due to lack of scale and performance for high-throughput workloads. Heimdall Data is a performance optimization platform that addresses these limitations. We offer a caching solution to the MySQL community. 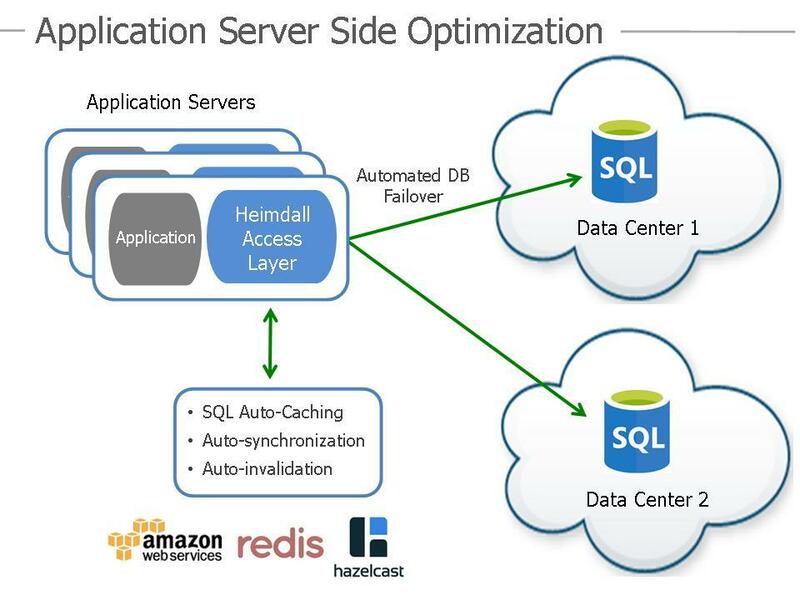 Distributed SQL Caching: Heimdall is installed across application servers. Because SQL caching of result sets are performed at the application edge, network latency is removed, increasing MySQL scale up to 5x. Automatic Caching: Cache safely and reliably. Our analytics give recommendations on what you should cache. You can choose to take some or all (i.e. auto-cache) of our recommendations via “One-Click”. Cache safely and reliably: Heimdall cache nodes intercommunicate to ensure synchronization so that data is always up-to-date. Upon invalidation, we do not lock the tables, maximizing application response times. Transparent: You choose the storage of choice (e.g. in-memory, Redis, Elasticache, Hazelcast) and Heimdall transparently interfaces to the cache API, requiring ZERO code changes. Heimdall Data is a MySQL data access layer. Caching is one of the most difficult problems to solve for a developer, especially when it comes to invalidations. We have solved that problem. Learn more here.